Fill in your details below in order to claim your free Verge. We'll take care of the rest. Coming with 8 console grade 6-transistor discrete preamps, 121 db dynamic range conversion and rock solid clocking, Discrete 8 features all of the Antelope Audio premier real-time FPGA FX, including authentic models of iconic gear from BAE, Lang, Gyraf Audio and many more. Combined with the already highly acclaimed Antelope Audio FPGA Vintage Compressors & EQ’s, these new modeling microphones will comprise a true cutting edge front end that will usher in a new era for modern recording. Matt Vanacoro, one of New York’s premier musicians, he has collaborated as a keyboardist in studio and on stage with artists such as Jordan Rudess (Dream Theater), Mark Wood (Trans-Siberian Orchestra), Mark Rivera (Billy Joel Band), Aaron Carter and many more. Transform Edge and Verge into vintage microphone replicas. Control proximity effect and change polar patterns during or after recording. 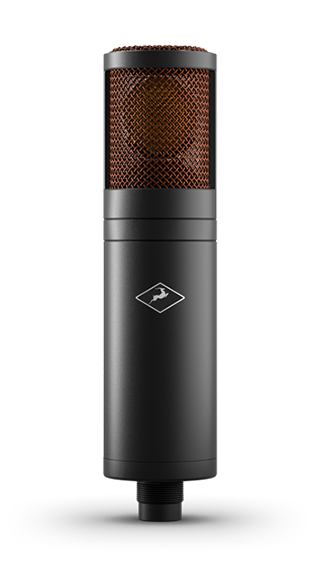 The Edge & Verge collection of Mic Emulation FX give you access to a growing collection of classic and expensive microphones. Monitor live with the zero latency FPGA modeling engine and bring out the musician’s best possible performance. The Discrete 8 Basic pack allows you to use 2 channel strips with 4 FX instances each. The Basic FX library features 50+ Antelope Audio real-time FPGA FX. With Discrete 8 Basic you can use one guitar amp and cabinet instance. The Discrete 8 Premium pack allows you to use 8 channel strips with 4 FX instances each and up to 16 channel strips using the AFX2DAW Plugin. The Premium FX library features 50+ Antelope Audio real-time FPGA FX.